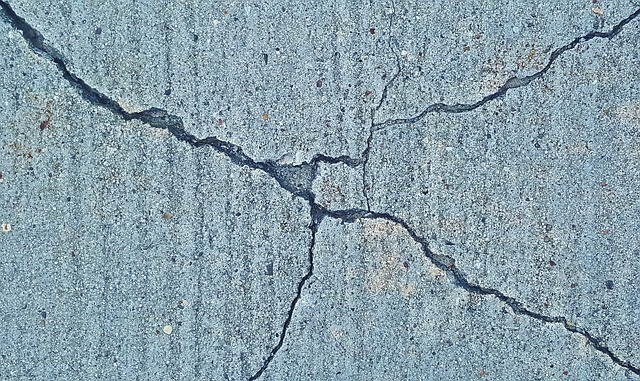 Home > Blog > Safety Tips > Is Your Business Earthquake Safe? Is Your Business Earthquake Safe? Earthquakes can occur at any time of the year, day or night. Some are small tremors that are hardly felt, if at all; others can rattle buildings and become strong enough to damage structures, belongings and lives. It is important to take action before, during and after a quake to protect your business and employees. Follow the steps below to help support a quick disaster recovery. It is never too early to prepare. Start now! If you live in or near these states, it is especially important to have an earthquake and, if applicable, a tsunami plan. The power will go out immediately, and depending on the restoration work required, may last for weeks. Do you have a back-up plan? Your back-up power supply may assist in some ways, but depending on the damage to cell towers, phone and Internet use may be out of service for at least the initial day. Do you have a plan to remain in service if this prolongs? Depending on your line of work, you may require a water supply, which may be broken or compromised. In some instances, it may take months to replace water pipelines because of the short supply and high demand. Do you have a water purification plan or a big enough reserve to last? The standard transportation routes may be damaged, causing travel times to be delayed. Do you have an alternative route or transportation service to use in this case? An earthquake may not only damage your business model and the facility’s outer structure, but it can also damage your contents and employees. You can minimize this harm by securing your belongings, creating a plan of action and holding safety meetings. Move items away from doorways and exits. Secure shelving units and filing cabinets. Lock filing cabinets when not in use. Move heavy items onto lower shelves. Secure valuable electronics items such as computers and televisions. Back-up computer files on regular basis, and store these off site. Install strong latches on cabinets to hold doors closed and keep items from falling out. Secure the refrigerator, and lock or consider removing wheels if applicable. Hang mirrors and pictures on closed hooks. Move flammable or hazardous materials to the ground or a lower shelf. Keep flashlights (and batteries) in easily accessible locations. Store a fire extinguisher in an easily accessible location. Purchase a NOAA Weather Radio to notify you potential hazards. Build a disaster safety kit in a plastic, waterproof container, if you haven’t already, and store in an easily accessible area. Hold safety meetings, describing your emergency plan to staff. Stay inside; do not go outdoors. “Drop, Cover and Hold on.” Drop to your hands and knees under your desk or along an interior wall, cover your head and neck, and/or hold on to the legs of the desk. Avoid buildings, windows, trees, vehicles, signs, utility wires and power lines. Get down low in a clearing, cover your head and neck and stay there until the shaking stops. Pull over to the side of the road or a curb and stop as quickly and safely as possible. Set your parking brake and stay in the vehicle until the shaking stops. Avoid overpasses, bridges, power lines and other hazards. Following the earthquake and aftershocks, continue to monitor safety advisories from the news, inspect your building and regroup with your team. Inspect the exterior and interior, making sure to note of any damage or suspicious activity. If your building is structurally unsafe, or hazardous in any other way, you may need to evacuate. Tend to any injuries they may have endured during the earthquake. Consider having them each call their emergency contact to confirm their safety. Is there anything you could have done differently; any other prevention strategies? Restock your disaster safety kits, if need be. In the case of an evacuation, consider having your employees work remotely to reduce any business disruptions. If you have to evacuate, communicate this to your customers and provide alternative contact information to be reached. Change your voicemail systems and set up call forwarding to have all calls and messages sent to you or a point of contact, directly.